Thailand is the world's 51st-largest country by area, the 20th-biggest by population, and the 28th-largest in terms of the size of its economy. Its food and beverages sector, among the most developed in the world, is the country’s third-largest by value, contributing 23% to national GDP. Thailand’s major food exports include rice, canned tuna, sugar, meat, cassava products, and canned fruit. Segments such as meat products, animal feed, vegetable oil, and dairy products mostly focus on the domestic market. Westernising lifestyles, urbanisation, and tourism help boost food and beverage manufacturing and retail in the country, while labour shortage is one of the industry’s major challenges. Over recent years, convenience stores have been taking market share from both traditional retail and large supermarket formats. 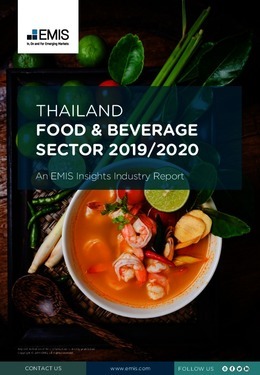 This report provides a complete and detailed analysis of the food and beverage sector for Thailand. EMIS Insights presents in-depth business intelligence in a standard format across countries and regions, providing a balanced mix between analysis and data.